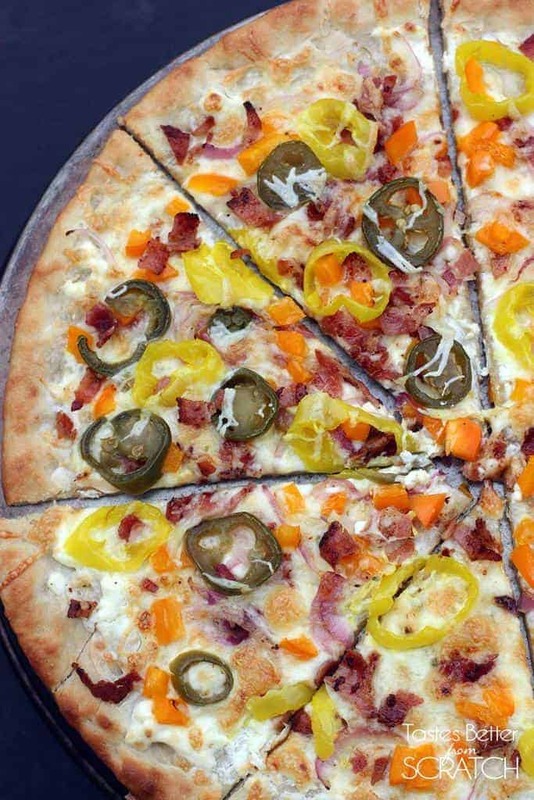 Loaded Jalapeño Popper Pizza is made with yellow peppers, onions, bacon, and Monterey Jack cheese! 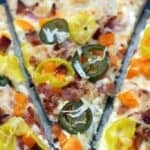 This pizza is packed with flavor! It’s been way, way to long since I shared a pizza recipe. Homemade pizza still happens at our house regularly, and we have tons of favorites (see below). 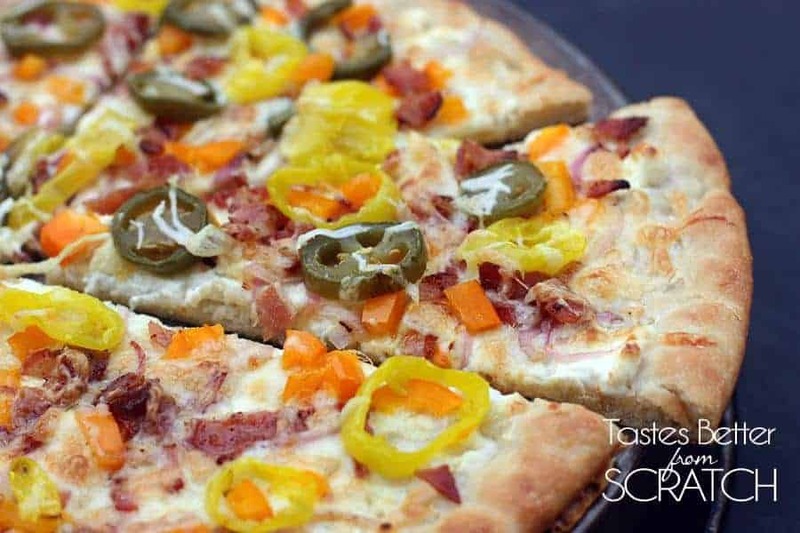 This Loaded Jalapeño Popper Pizza combines my two favorite things: Pizza and spicy peppers. Throw in some cheese, and bacon and I’ve pretty much died and gone to heaven! And I should mention that I always make homemade pizzas with either my Perfect Pizza Crust recipe, or this awesome No-Rise Pizza Crust (which takes 5 minutes to make!) Both are equally fantastic. Happy pizza night! 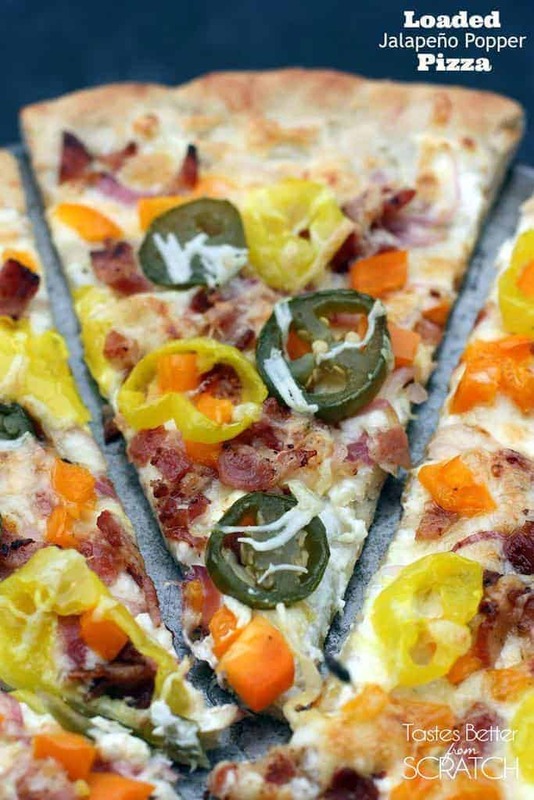 Loaded Jalapeño Popper Pizza is made with yellow peppers, onions, bacon, and Monterey Jack cheese! Roll pizza dough large enough to fit in your pizza pan or on your baking stone. Spread the cream cheese evenly over the top. Top with remaining ingredients. Bake for 15-20 minutes, or until the crust is golden and the cheese is melted on top. I have made this recipe a few times now! I love the flavor combinations. I would give it 10 stars if i could :).